The Messira disease didn’t’ just start now in 2009 , this sickness started long ago, over 15 years. One of those first Messiras was in fact on the directors of Machne Menachem (1996). Not only didn’t Rabbi Marlow do anything to stop it, he tried like many [evil] people to justify and excuse. 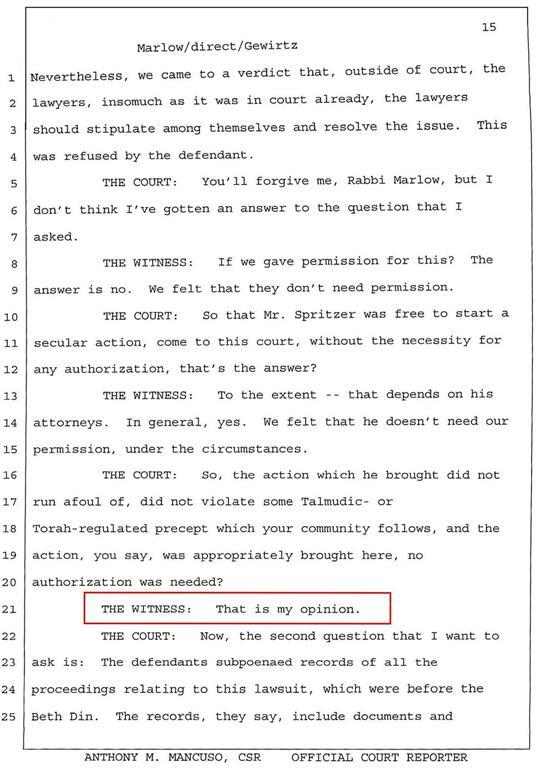 Like Rabbi Schwei he does not admit that he gave permission but does not deny either. None of these justification or excuses are found in the Shulchan Aruch. The words of the Rambam in the laws of Sanhedrin: “it is forbidden for a judge to hear one side of the litigants before the other one is present or in his absence and even one word is forbidden (to listen to) as it says you must listen to your brothers (plural). And if (a judge) hears only one side he transgressed a Torah violation as it says you should not bear vain claims which includes a warning to one who accepts evil talk (loshon hora) and one who says loshon hora and one who testifies falsely (as we see everyday in court). “There are those who say that asking the Rabbonim for an explanation of their Psak Din is a chutzpah, and that they owe no one a Mehaichan Dantuni. Where do these people find a source in Shulchan Aruch for their position? On what basis do they make the claim that a Rov does not have to answer for his actions. I hear this sicha being quoted and that sicha being quoted; the Rebbe said such wonderful things about the election of the Rabbonim, and so on and so forth. Nevertheless the Rebbe did not create new standards chas v’shalom for these Rabbonim. The Rebbe desired and demanded that they conform to the same standards of Shulchan Aruch as all Rabbonim and Gedolei Yisroel have for thousands of years. One of those standards is that when a Rov is asked Mehaichan Dantuni he must respond and show the sources. To say otherwise is to put the Rov on a pedestal which is even higher than the Shulchan Aruch, G-d forbid. And To say so in the Rebbe’s name, is dishonest and the antithesis of his stated position. 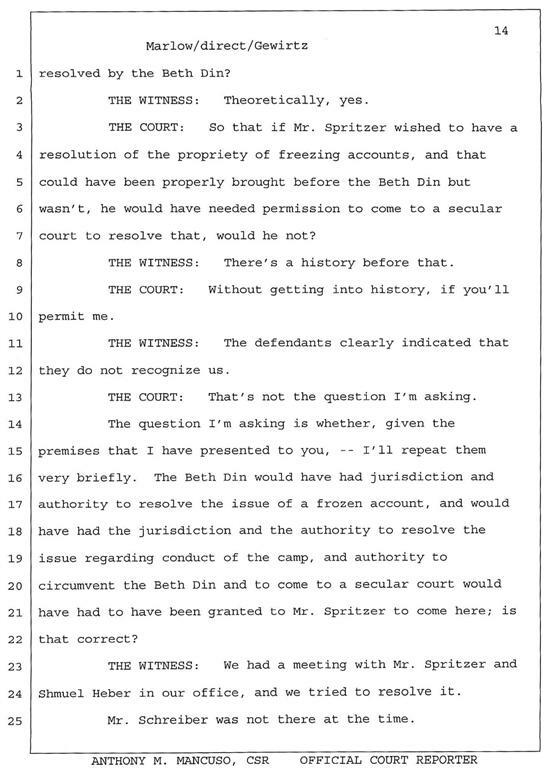 This entry was posted on Friday, December 18th, 2009 at 2:32 pm and is filed under Beth Din of CH, Court, Mesira. You can follow any responses to this entry through the RSS 2.0 feed. You can leave a response, or trackback from your own site. 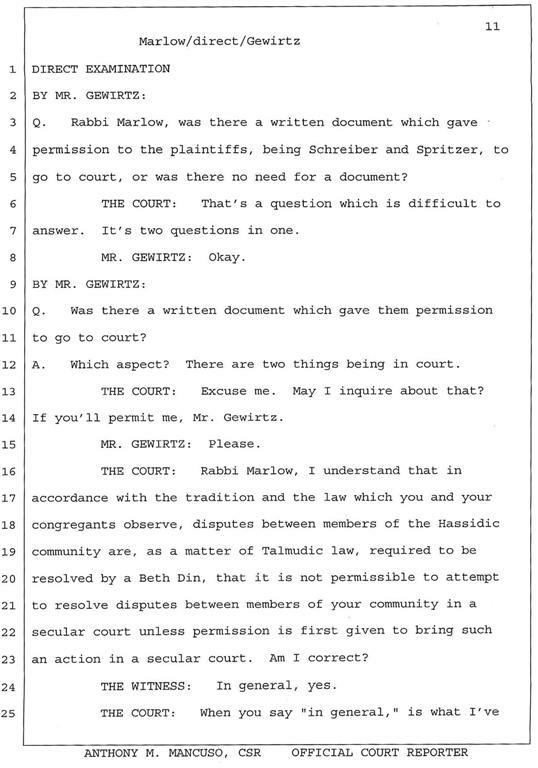 From what i understand I hear that the attorney paul Huebner is claiming to have permission to sue the Crown Hieghts Shomrim for millions of dollars from this dead Rabbi Marlow….and that Malow gave him permission to sue in in late 90’s…???? with all do respect, why are you going down this path, the man is already nifter? This you should tell the people who have and are still justifying Messira in Marlows name as john doe has pointed out. Those are the people that are disrespecting the Rabbi. It’s all the messira and machlokes that got to him. It’s to bad but a fact, the Rabbi got involved in things that he should have not. It might be easy to blame others for taking him for a ride, which is also true, but he was an adult responsible for his own actions. 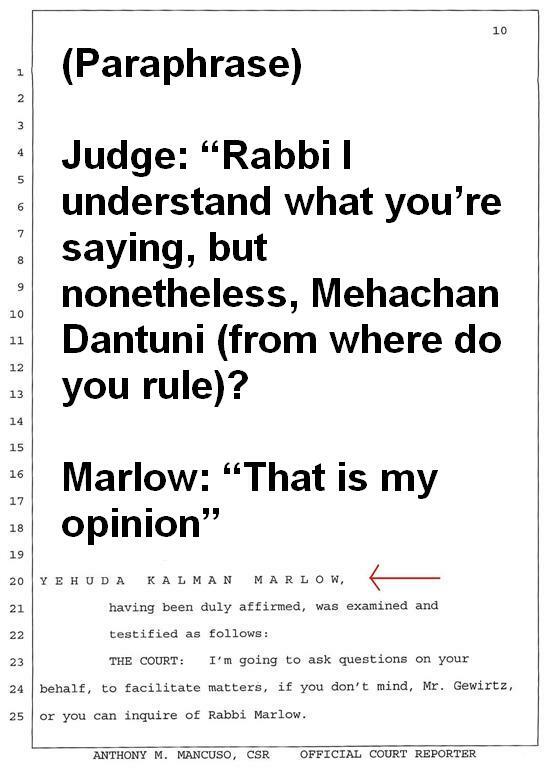 He should not have made “rulings” (if you can call them that) based on his own feelings, that not how it is, its not the Shulchan Aruchs [Torahs] way. There is a G-d watching and keeping an accounting. Nobody can take whats not his. Nobody can give to something that belongs to another. “to the information we were given”. By who? who was giving this “information”? Hoom, could have been Spritzer Himself? 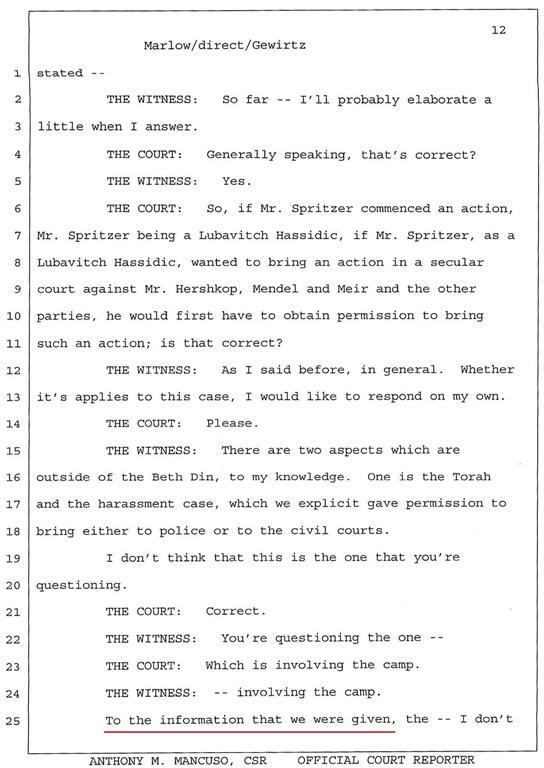 Was the Rabbi only listening to one side?